All Rose Valley homes currently listed for sale in Rose Valley as of 04/22/2019 are shown below. You can change the search criteria at any time by pressing the 'Change Search' button below. If you have any questions or you would like more information about any Rose Valley homes for sale or other Rose Valley real estate, please contact us and one of our knowledgeable Rose Valley REALTORS® would be pleased to assist you. 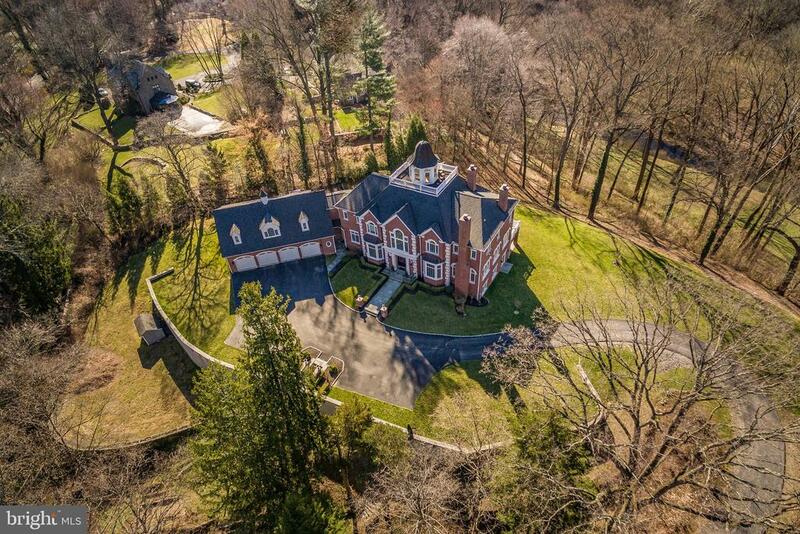 "Breathtaking, private Estate located in the heart of Historic Rose Valley, within minutes of Center City Philadelphia, the International Airport and all major commuting routes. 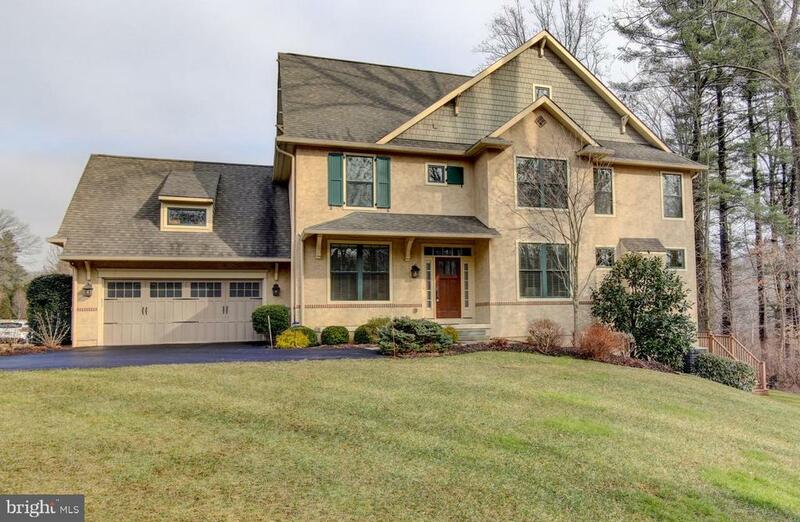 Built in 2009 with a superior level of construction and finish, this incredible Georgian influenced property offers a rare package of exceptional, open living and entertaining spaces with elevator access and endless views of Scenic Ridley Creek and its accessible walking trails. Features include gracious rooms with large sun-filled windows, stunning millwork, moldings, high ceilings and finely crafted architectural features opening up to expansive outdoor living spaces, Fabulous Great Room, Dining Room, incredible Gourmet Kitchen opening up to spacious Breakfast and Family Rooms, Luxurious Master Suite with every desired amenity, 5 additional en-suite bedrooms with radiant heated bathroom floors,including an in-law suite, Lower Level Wine Cellar, Gym and Sauna, third level Recreation Room, 4-car over-sized Garage and Superior systems including geo-thermal heat. Absolute Move -In condition and priced to sell." "This Traymore Development Carriage home offers convenience and luxury at a great price. 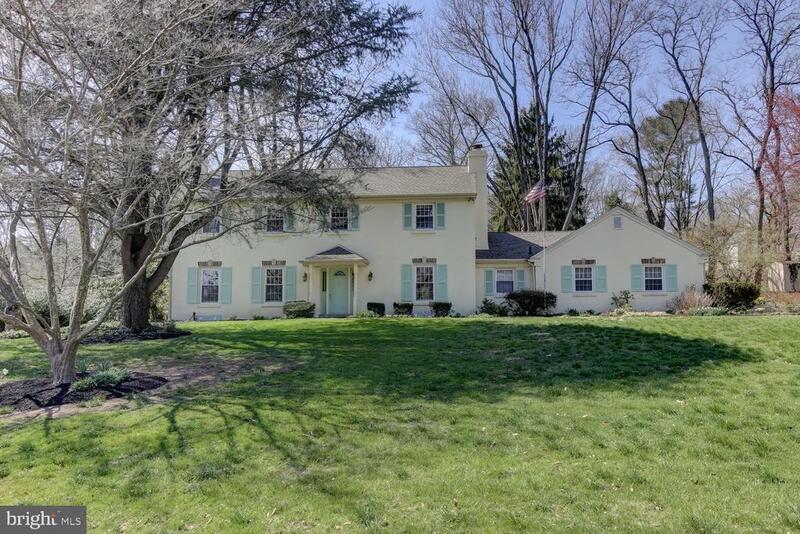 Located only minutes away from the Rose Valley train station and 15 min drive from the Philadelphia airport, the neighborhood sits adjacent to the Saul Wildlife preserve. This 10 year old end-unit Hadleigh model offers beautiful open living space to family room with fireplace and gourmet kitchen area with a view to the private deck. Hardwood flooring shines from the front door throughout the first floor and stairway. The work of the award-winning Vaughn Sutter builders is evident throughout and includes granite countertops, elegant cabinetry, soft close drawers, numerous large closets, eco friendly appliances in addition to framing for potential installation of a three-stop elevator. Upstairs, a spa-like bathroom and two walk-in closets sit complement a large master bedroom with vaulted ceiling. Down the hall, a laundry room and two bedrooms connect with a Jack and Jill bath. Guests will enjoy the comfort of the basement bedroom-living room-bath suite with walk-out to the patio. Lawn maintenance and snow removal are provided by the HOA. Whether you are relocating or downsizing your home responsibilities, you will appreciate the quality and ease of living this property has to offer. Call for a private tour today." "This impressive 2 story Colonial home is nestled in the desirable neighborhood of Todmorden, and has a spectacular setting which enjoys the natural beauty of the Rose Valley surroundings.The pleasing exterior creates a perfect complement to the extensive gardens and thoughtful landscaping. From the moment you enter this well maintained home you feel welcomed into bright spaces where the delightful environment is enjoyed through every window. Spacious rooms, hardwood floors, and wood burning fireplaces all make this home warm and inviting. The Kitchen is open to the Family Room, for comfortable casual gatherings, but the home also offers a Formal Living Room and Dining Room for more elegant entertaining, In addition, French doors lead to a sun room that can be enjoyed in all seasons that opens to a large deck where you can enjoy your view of flowering meadows. With an expansive Master Bedroom Suite and 3 additional sun filled Bedrooms, this home offers great space for private enjoyment. The Lower Level is very large and adds considerably to the living space of the house. If you are ready to enjoy life and live in comfort, 5 Brookview lane is the perfect home for you! Call for a private showing today!" "Rose Valley Mid-century California style ranch with all the bells and whistles! 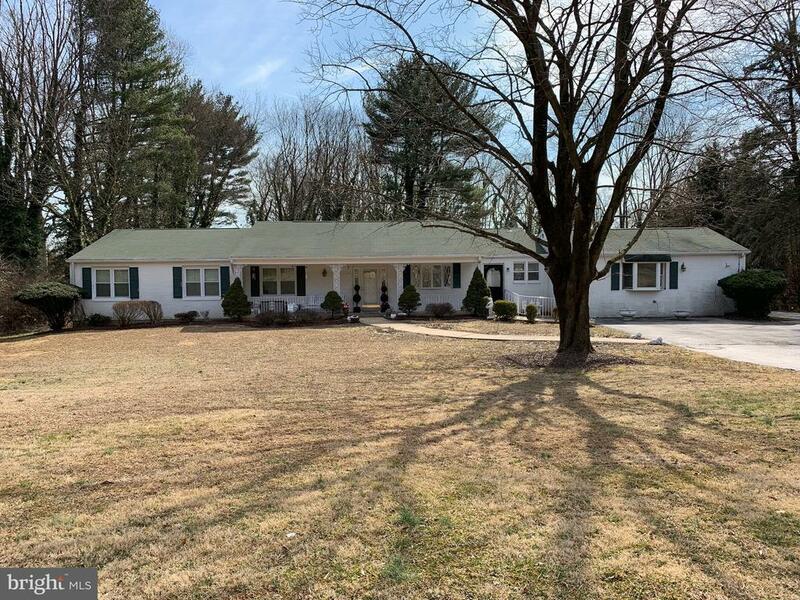 This beautiful home is situated on 1.4 acres with a large level backyard that extends to Ridley Creek. There are amazing mature woodland gardens and an uninterrupted view of the Saul Nature Preserve. The Old Mill of Rose Valley can also be seen from the rear vista. The flexible floor plan allows for one-level living if desired, or can easily accommodate lots of family and friends on three levels of living space with 6 bedrooms and 4 baths.You are greeted by a covered front porch with a white quartz brick pattern floor and custom inlaid oak leaf mosaic. The large picture windows in the living room (with fireplace) enhance the views of the Creek. The kitchen was totally renovated with custom burl walnut cabinets by renowned wood-workers Rossi Bros. of Philadelphia. The cabinets were designed to complement the owners~ Nakashima furniture. There is an open dining room and a sun room. A master bedroom with lovely views, a master bath, two additional bedrooms and a hall bath with Jacuzzi tub, plus a powder room and laundry area complete the main level.The upper level has three bedrooms and a hall bath. There is also generous eaves storage.The lower daylight level features a large family room with a fireplace and sliders to the back, a full bath, lots of storage and entrance to the 2 car garage. Among its many upgrades are a new roof (2017), high-end Andersen slider windows, extensive recessed and spot lighting, custom slate floor in sun room and powder room, Cali wide- plank bamboo floors in kitchen, dining room and living room, oak hardwood floors, fresh paint throughout, new carpet in lower level family room and a custom- designed Trex deck.While tucked away in a quiet circle, 9 N. Longpoint affords easy accessibility to major roads, shopping and the airport plus the award-winning Wallingford/Swarthmore School District. This is a home that will appeal to the most discriminating "
"Welcome to this spacious Ranch home which offers the convenience of one floor living in the desirable neighborhood of Todmorden, Rose Valley. Well situated overlooking open space and a babbling brook, 6 Todmorden Drive has 5 bedrooms, 3 full baths and 1 powder room. Features include hardwood floors, recessed lights, and two gas fireplaces. The expansive Lower Level doubles the already considerable living space of this home and includes a lovely walk out porch to enjoy spring, summer and fall while inside there is a large brick fireplace to enjoy on cold winter days. This house is being sold in as-is condition~ready for a lucky buyer to make it their own!" "Welcome home to 7 North Longpoint Lane, quaintly situated in nature with mesmerizing creek side views from this home. Ranch style home with 4 bedrooms and 2.5 bathrooms. Covered front porch. Additional sun room off the kitchen currently used as a breakfast room with french doors to the back deck. Living room includes a brick fireplace, exposed beams for added charm and a large window allowing natural light. Master bedroom with full remodeled master bath including Whirlpool tub. Many recent upgrades have been added to this home. All new lighting fixtures and ceiling fans. Recently installed Nest system for convenient control of the HVAC. NEW water heater in 2017. NEW A/C unit installed in 2017. It gets better, JUST installed a whole house generator, no more power outages for this house! Fully finished walk-out basement with family room and additional large area for a home gym, office or playroom. Basement also includes powder room and laundry room. Two Car garage. This property is just under an acre of lush trees, greenery and gardens. The front garden was thoughtfully designed by the previous owner with new plants blooming from March to September. Enjoy the sounds and picturesque views of Ridley creek, Long Point Wildlife Sanctuary and the Saul Wildlife Preserve, beautiful in every season. 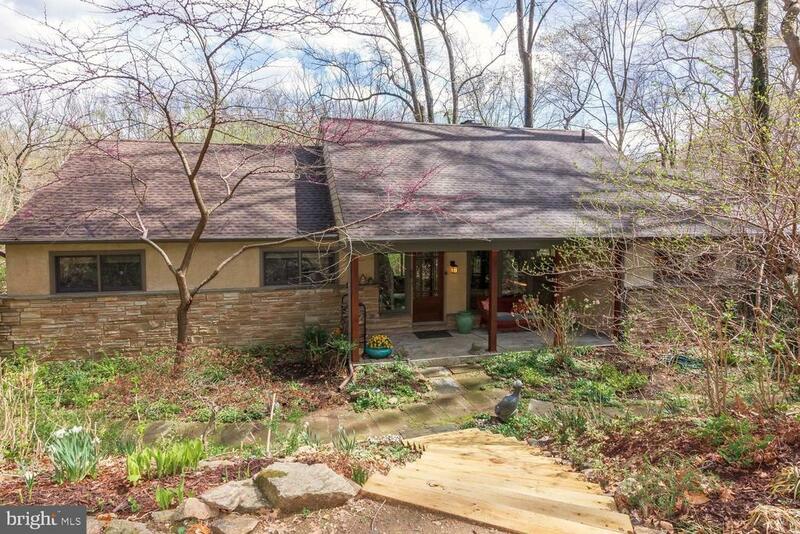 Although this home has desirable privacy and seclusion it is an extremely well located home. Quick access to 95, 476, 352 & 1. Easy commute to Philadelphia international airport, Philadelphia and Delaware. Close by to multiple SEPTA regional rail trains. Surrounding this home are plenty of attractions and adventures. Minutes from Media & Swarthmore boroughs with shops and dining throughout. Linivilla Orchards, Ridley creek state park, Chester creek trail, Media theatre and Hedgerow theatre are just a few among many attractions in this area. Award-winning Wallingford-Swarthmore school district, one of the top 10 in PA. Fall is just around the corner, sit back, relax and enjoy t"